As with any component of your marketing strategy, your bio could be what causes a talent buyer or label A&R to pick you over another artist. Does yours highlight what you have to offer concisely, professionally and memorably? 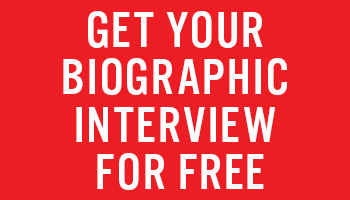 Over the years that John Cameron has been working in the entertainment industry, he’s developed a “Biographic Interview” that identifies your selling points as an artist. Furthermore, if you’re familiar with his body of work as a music journalist you’re already well aware that he’s capable of communicating these qualities to your audience.